Administrative Law Judge Robert F. Helfand, Office of Administrative Hearings, State of California, heard this matter in Orange, California, on May 18-19 and 23-26, 2011. Bruce Bothwell, Esq., Attorney at Law represented Parents and Student (Student). Celia Chang, Attorney at Law, was present on May 18, 19, 23 and 24, 2011. Student’s mother (Mother) was present for the hearing, and Student’s father was present each day of the hearing except for May 26, 2011. 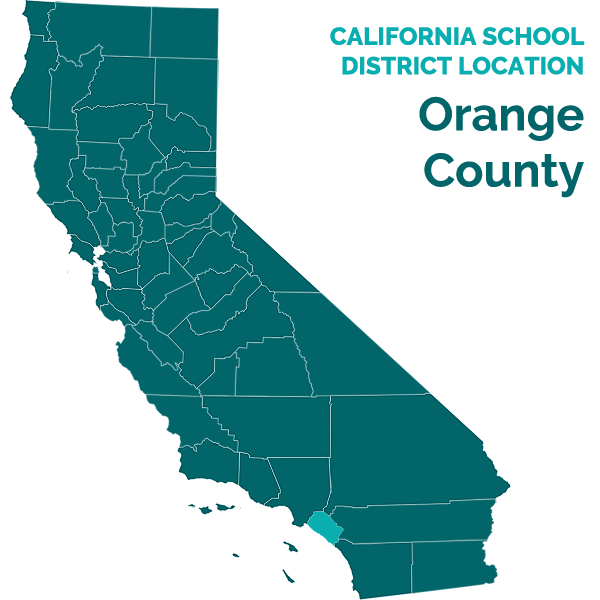 S. Daniel Harbottle, Esq., represented the Orange Unified School District (District). Karen Hanson, Special Education Director for the District, was also present. Student filed his due process request (complaint) on October 18, 2010. On October 25, 2010, the District filed a response to the complaint. On October 29, 2010, and February 4, 2011, OAH granted joint requests by the parties for continuances. At the hearing, the ALJ received oral and documentary evidence. The following witnesses testified at the hearing: Dawn Bronson; Shari Franklin; Adrienne Kessler; Sara Zerby; Lindsay Horvath; Melissa Moss; Mother; Betty Tia; Robin Moss; Henry J. Moore, III; and Lindsay Mitchell. At the request of the parties, the record remained open for the submission of written closing and rebuttal arguments. The parties filed their closing briefs on June 13, 2011. Rebuttal briefs were submitted on June 21, 2011, when the matter was submitted. Failing to have a special education teacher at the IEP meeting? Failing to have in attendance at the IEP meeting a speech and language pathologist? Failing to assess Student in all areas of suspected disability? Student withdrew issues (b) (3) and (4) and (c) (1) and (4) during the hearing. 1. Student, an almost six-year-old boy, resides with his family within the geographical boundaries of the District. Student was found eligible for special education and related services on December 18, 2008, under the eligibility category of Speech or Language Impairment (SLI). On March 12, 2009, Student’s eligibility category was changed to Autistic-like Behaviors. He currently attends a nonpublic school. 2. By age two, Student had failed to meet his development milestones. He seemed lost in his own world, failed to make eye contact with others, did not respond to his name when called, did not play with toys, fixated on Thomas the Tank Engine, was a picky eater, and engaged in behaviors such as tantrums, elopement, and jumping at inappropriate times. 4. Shari Franklin conducted speech assessments for pre-school children for the District in 2008 in cases where the sole suspected disability was related to speech and language. Franklin has a B.A. in speech and an M.A. in communications. She is a licensed speech language pathologist (SLP) and has her certificate of clinical competency (CCC). She has been a practicing SLP since 1993 and has worked in school settings for 15 years, plus three years in a hospital setting. Franklin currently is an SLP for the Temecula Valley School District. She worked for the District from 2000 through 2009, at elementary and preschool levels. The purpose of the assessment was to determine whether Student was eligible to receive speech and language services. At the time of the assessment, Student was three years, three months of age. 5. Franklin interviewed Student’s parents on October 23, 2008. They stated their primary concern was Student’s lack of expressive language. In the home, the primary language spoken is Korean but English is also used about 20 percent of the time. Parents, on the Parent Interview/Case History Form, reported that Student could follow two-step directions, use pencils and crayons to put marks on paper, match objects to pictures, clean up with assistance, directly interact with children when playing, ask appropriately for assistance, play appropriately with toys, handle change in routine or environment appropriately, and stay on-task for 10 to 15 minutes without direct adult supervision. Parents verbally informed Franklin that they were concerned that Student was autistic. Parents told Franklin that Student was not toilet trained, had a vocabulary of zero to three words, did not put at least two or three words together, did not engage in simple conversation, could not count up to five nor identify colors, could not attend to stories one-to-one for more than two to three minutes, did not make eye contact, appeared to be in his own world, liked order and routine, and did not respond to his name. Franklin administered the assessment testing on November 21, 2008. During the assessment, Student did not engage Franklin, demonstrated poor eye contact and attention, and had very little verbalization. 6. Franklin administered the Rossetti Infant-Toddler Language Scale (Rossetti), Language Sample, Pragmatic Profile, and conducted a parent interview and informal observation. During the parent interview, Student was fixated on Mother’s cell phone and was affectionate with Father. Franklin noted that Student was interested in books, but he merely flipped pages rather than concentrating on the pictures. He had a lack of interest in any of the toys in the examination room. During testing, Student did not respond to most directed tasks. Franklin also observed Student’s lack of facial expressions during the assessment. 7. The Rossetti is a criterion-referenced instrument designed to assess the language skills of children up to three years of age. The Rossetti consists of an interview with parents and covers the areas of play, language comprehension, language expression, pragmatics, and gesture. Student scored an age equivalency of 15 to 18 months in play. Play skills shows how the child interacts with inanimate objects as well as the ability to pretend, take turns, and play cooperatively with others. Student demonstrated language comprehension and language expression skills at the six to nine month level.1 Student’s pragmatic skills were at the nine to 12 month level. In gesture, Student was at the 18 to 21 month level. 8. The Language Sample is a collection of spontaneous utterances which is analyzed in terms of social intent, word usage, syntax, and grammar. Student did not appear to use verbal language intentionally except when squealing for pleasure. Student made six sounds: ka, momba, kuk, ba, didididi, and mamamimi. A typical child of 39 months has an average of three words to three and three-quarter words per intent and follows conversational rules. Student’s sample placed him in an area of less than 12 months. 1 Lindsay Mitchell, a private SLP who worked with Student later, testified that the language comprehension portion of the Rossetti was incorrectly scored as Student had not mastered “goodbye.” Mitchell said Student’s proper scoring would place him in the three to six month level. 9. Pragmatics is the effective and appropriate communication in relation to varying social and situational contexts. Pragmatics was measured by an informal observation. Student demonstrated inappropriate eye contact and limited facial expressions. He did not show joint attention. Franklin concluded that this was an area of “significant difficulty.” Student also did not respond to any directed activities to permit a measurement of articulation/phonology. 10. Franklin found Student eligible for speech and language services because Student’s expressive and receptive language skills were significantly delayed. 11. Franklin recommended speech and language services and a referral for a complete psycho-educational assessment for consideration of a placement in a special day class (SDC). 12. Franklin concluded that Student would require a more intensive assessment including a full psychological battery. Because of his poor test scores, she felt Student required more intense services. She filled out a Notice of Special Education Referral form on November 21, 2008. The form notifies parents that they will receive within 15 days an assessment plan showing which areas the child will be assessed. 13. On December 18, 2008, the District convened an initial IEP team meeting. The IEP team consisted of a general education teacher; Franklin; Laura Miller, an administrative designee; and both parents. The team did not include a special education teacher. The meeting commenced at 1:25 in the afternoon and ended at 2:50. The team discussed the Franklin assessment and Student’s need for speech and language services. The issue of autism was not raised. Parents brought up Student’s behaviors and this was discussed as these behaviors related to Student’s speech and language deficits. The IEP team found Student eligible for special education and related services under the category of speech or language impairment. The IEP failed to include present levels of performance in preacademic /academic/cognitive/functional skills and social/emotional development as Student was not assessed in these areas. Under communication development, the IEP noted that Student had severely delayed expressive and receptive language and pragmatic skills as measured by the Rossetti. Motor development was found not to be an area of unique need. The team also did not note any special factors including behavior. 15. The District offered to provide Student with 50 group speech sessions of 90 minute duration from January 2009 through January 2010. The offer was the equivalent of two 90 minute sessions per week. The services were to be provided in a separate classroom at Crescent Elementary School by District staff. The District would also conduct a preschool assessment of Student within the IEP year. 16. Parents consented to the IEP. On December 19, 2008, Franklin forwarded by facsimile a copy of her assessment report and Notice of Special Education referral to Chendal San, a District school psychologist. The cover sheet indicated that the information was for the school psychologist’s review. 17. Student began receiving speech and language services at Crescent Elementary School commencing on January 15, 2009, from Lindsey Horvath, a District SLP.3 Student joined Horvath’s Tuesday/Thursday 12:30 p.m. group which comprised four other children and one instructional aide. The aide assisted by keeping the children in their seats and running activities during the 90-minute sessions. Student had the most severe deficits in the group, and he was the only group member who was autistic. At first, Student had problems transitioning into the group as he did not want to be separated from his mother. Student attended 10 of 17 sessions. He did not interact with the other children. He minimally participated in the sessions because of his lack of attention. Student would engage in hand flapping, jumping up and down, eloping, and using sensory toys to cover his eyes. He did not like loud noises and would frequently cover his ears. Horvath testified that the sessions were too long for Student to handle, so she requested Mother to pick Student up early. In teaching baby signs for “please” and “more,” Horvath had to use hand-over-hand prompting to get Student to use the signs. Student made little progress during his time with Horvath. 2 Melissa Moss, a District SLP who worked with Student starting in March 2009, testified that she was surprised that Student’s IEPs prior to October 12, 2009, did not include a speech production goal. 3 Horvath has a B.A. in communication disorders and an M.A. in human communication and disorders. She has received a clinical competence certification in speech-language pathology and a California Rehabilitative Services Credential in 2006. She worked as a SLP on a waiver-emergency credential with the Long Beach Unified School District in 2000-2002 and as an SLP during the 2005-2006 school year at the Cypress Unified School District. Since fall 2006, she has been employed as an SLP with the District. Since 2005, she has been on the adjunct faculty at Cerritos Community College in the Speech Language Pathology Assistant program. 18. On or about January 16, 2009, Parents received a proposed assessment plan. The assessment plan called for Student to be assessed in the areas of academic/pre-academic achievement; intellectual development; social/emotional/behaviors status; psycho-motor development; health/vision/hearing; self-help/career/vocational abilities; and autism rating scale. Mother signed her consent on January 16, 2009. 20. A health and developmental assessment was conducted by Susan Salvador, a District school nurse. Student passed the functional visual and hearing screens based on observation and parental reports. Salvador was unable to conduct a color discrimination screen. Salvador also noted that Student had difficulty engaging in assessment tasks, displayed fleeting eye contact and spoke in jargon. 21. San conducted the intellectual development and social/emotion/behavior portions of the assessment on January 30, 2009, and February 6 and 23, 2009. San utilized a number of tools including reviewing available records; conducting parent interview and observations; and administering the following standardized tests: Differential Ability Scale, Preschool (DAS), Westby Symbolic Play Skills (Westby), Developmental Profile II (DP-II), and the Childhood Autism Rating Scale (CARS). [Student] is an adorable 3-year, 5-month old child who attempted some tasks asked of him. However, it was very difficult to get [Student] to attend to activities, as he was easily distracted, non-compliant and active. He was observed to often need prompting and redirection back to the task-athand. He was observed to have a difficult time following simple directions and did not respond to positive praise by the psychologist or the assessment team. [Student] was observed to enjoy playing with a Thomas the train book in the assessment center, however when he heard sounds from the book he covered his ears. [Student] appeared to have a difficult time completing tasks in the testing environment. 24. The DPI-II also assesses social and practical living skills. Student measured within normal limits on the physical age scale with a score of 40 months. This scale assesses a child’s abilities with tasks requiring large and small muscle coordination, strength, stamina, flexibility, and sequential motor skills. Self-help measures the child’s ability to cope independently with his environment and includes tasks such as eating and dressing. Student scored at 34 months on the self-help scale, which was within normal limits. The social age scale measures interpersonal relationship abilities. Student scored in the delayed range with a score of 30 months. Mother reported that Student played with toys appropriately and took turns 75 percent of the time. Student scored at 17 months, which is in the delayed range, on the academic age scale. This scale measures a child’s intellectual abilities by assessing the development of skills prerequisite to scholastic functioning. He also scored in the delayed range in the communication age scale with a score of 18 months. This scale measures a child’s expressive and receptive language skills with both verbal and nonverbal language. 25. The Westby looks at a child’s developmental acquisition of play skills. The assessor used her observations and information provided by Parents. Student’s play skills were scattered at the 24 month level and solid at the 17 to 22 month level. 26. The CARS is utilized to evaluate the presence of autistic-like behaviors in children. Information is obtained through interviews and observations by the assessment team at assessment sessions. Total scores between zero and 30 are in the non-autistic range; 30 to 37 are in the mildly-moderately autistic range; and 37 to 60 are in the severely autistic range. Parent’s total score was 29, while the assessment team score was 47. 28. On March 12, 2009, the IEP team convened. The team consisted of Mother; a District administrative representative; a general education teacher; a special education teacher; and Laura Martinez, a District school psychologist. Absent were an SLP and San, who had conducted the second assessment. The second assessment was reviewed. The health and development portion was reviewed by the District administrator, and the special education teacher reviewed the pre-academic skills portion. Martinez reviewed the cognitive, social and emotional portions. The team found Student eligible for special education services as “a student with autism.” The team no longer found Student eligible under speech or language impairment. 29. Under present levels of performance, the team noted that Student was unable to match colors or rote count, not potty trained, and had difficulty interacting with peers. For communication development, the IEP merely repeated the present levels of performance which had been listed in the December 18, 2008 IEP. The IEP notes failed to mention that the team discussed Student’s progress or lack thereof during the meeting. 30. The team adopted six annual goals in the areas of academics, fine motor, expressive language, receptive language, and pragmatics. Student’s first goal was academic and required him to sit and attend to a teacher directed task for five minutes without interruption in four out of five trials as observed by the teacher. The second academic goal was to have Student match five out of five colors in four out of five trials. The third goal was fine motor and required Student to copy a horizontal line, a vertical line, and a circle in four out of four trials. Student’s goals in expressive language, receptive language, and pragmatics were the same as the initial IEP.4 The IEP did not include goals related to speech production as Student was not saying words, socialization as Student had no interaction with peers, nor potty training as he was not toilet trained. 31. The IEP noted that “Student is expected to meet the same standards of curriculum mastery as non-special education students within his classroom without accommodations.” The IEP team required specialized academic instruction to develop Student’s learning skills such as joint attention and attention to task. The District’s FAPE offer was that Student would attend a mild-moderate SDC, receive 50 group speech therapy sessions yearly at 30 minutes per session, and attend Chapman Hills Elementary School. The SDC was not designed for autistic children nor did it include behavior therapy in the curriculum. Student would initially attend the SDC for 100 minutes weekly until he was integrated into the class when he would attend full time. Mother consented to the implementation of the District offer. 32. Following the March 12, 2009, IEP meeting, Student began attending the preschool mild to moderate SDC class of Dawn Bronson.5 The class comprised 16 children and three instructional aides.6 Bronson’s class commenced at 9:40 a.m. and shared the classroom with a kindergarten SDC from 9:40 until 11:30 each day. Bronson’s class finished at one o’clock. The schedule for Bronson’s class was the students arrived and had calendar time at 9:40 followed by recess with the kindergarten class from 10:05 to 10:25. From 10:30-11:00, the classes worked on projects involving social skills, art, language, and fine motor skills. At 11:00, the pre-school SDC had lunch and bathroom break while the kindergarten class left. From 11:35 to 11:40, Bronson had circle time where the class worked as a group on math, language arts, music or movement. From 11:55 to 12:20, the class had center time where each child was assigned to work at a center. This was followed by recess for 10 minutes. At about 12:30, the class worked on the letter of the week in a small circle and then centers. At 12:50, there was a closing circle which included behavior charts for the children. At 1:00, the class was dismissed. 4 The goals did not include short-term objectives so as to measure Student’s progress. 5 Bronson has a B.A. in early child development and an M.A. in special education. She is a certified early childhood teacher. Bronson attended a first tier (out of four tiers) autism training for two weeks for a total of 10 hours. She has not had behavioral intervention training. 33. Student initially commenced his school day at about 11:30 a.m. to allow him to transition to a new environment. Student seemed curious and aware of his environment at first. He needed more individual attention than others and was not engaged in what was going on in the class. Student required maximum prompting to complete tasks including hand-over-hand prompts to allow him to model what was being done. During small groups such as circle time, Student would not be engaged, but he was not disruptive. He would look around and at others, stare at his fingers, and play with his fingers. When he was engaged in preferred activities, Student would attend to task for up to two minutes if an aide was present. Student would only attend to a non-preferred task for 30 seconds. During non-preferred activities such as labeling, counting and sorting, Student would have difficulty being directed by staff to perform tasks. 34. On June 10, 2009, Bronson reported in writing that Student was making progress on all his goals. Student understood classroom routines and transitions including looking at the class picture schedule. When Student wanted to get Bronson’s attention, he would make eye contact and lead her by the hand to the object he wanted. Even though Student could sit in a group without disrupting the group, he still was not participating unless maximum prompting was used. Mother observed Student playing in dirt and eating the dirt and rocks while at recess. Mother did not see any progress in Student’s speech and language skills. By the end of the school year, Student required individual prompting to attend two minutes on a preferred activity and to attend to a non-preferred activity for 30 seconds if rewarded by Cheerios, which Bronson used as a reinforcer. Because Student required maximum prompting, Bronson felt that he required ABA support, which led her to request a District ABA assessment. Report by Marc A. Lerner, M.D. 6 The instructional aides were not trained in behavioral support therapy. 36. Dr. Lerner recommended that Student be placed in a special education setting emphasizing ABA/IBI and communication interventions including individual speech and language services.7 He also recommended a home intervention program by the local regional center. 37. Student attended an SDC at the Villa Park Elementary School for the 2009 extended school year. Student seemed reluctant to go to school. On June 26, 2009, Student came home with facial bruising. Student then began exhibiting increased behaviors, including nail biting, which were severe enough to cause infections. He also did not want to go in the car each morning for school. Because there was no incident report from the school, Mother contacted the teacher, Ms. Welche, who was unaware of the situation. Mother notified the school that Student would no longer attend the summer pre-kindergarten class. 38. Adrienne Kessler, a District autism specialist, conducted a cognitive behavioral assessment of Student on August 27, 2009, and produced a written report dated September 9, 2009.8 Kessler conducted a records review which included the March 12, 2009 IEP and a report from FOROCKIDS. She also conducted a one to one and a half hour classroom observation and interviewed Bronson, who continued to be Student’s teacher, on August 27, 2009. In her written report, Kessler reported on her observations in the areas of language/pragmatics, social cognition, and behavior. 8 Kessler has a M.Ed. with an emphasis in clinical psychology and a Board Certified Behavioral Analyst (BCBA) certificate from the Chicago School of Professional Psychology. From 2002 through 2006, Kessler was a case consultant with the Center for Autism & Related Disorders (CARD). She was an autism specialist with Capistrano Unified School District from 2006-2007. Since 2007, she has been an autism specialist at the District where she created and operates an ABA clinic and the District’s training program. 39. Bronson told Kessler that Student was able to remain seated during circle time activities for up to 15 minutes with minimal redirection although he completed academic tasks with maximum prompting. Student’s main means of communicating was to lead another by the hand and take the person to an item that Student desired. Student’s vocabulary was limited to three words which he used at home. Student would resort to screaming when he is unable to express his wants and needs. He required maximum prompting to engage in play activities outside of his preferred repertoire. Because of Student’s limited repertoire of play skills, his interactions with peers was minimal. 40. The only maladaptive behavior noted was that reported by Bronson that Student would scream to express frustration or being upset when his wants were not understood or when he was denied access to a preferred item. Kessler concluded that this behavior would decrease as Student’s receptive and expressive communication increased. 41. During instruction, Student did not attempt to answer the teacher’s questions nor did he engage in singing while in a group activity. During center time, Student was unable to identify numbers when asked to touch and label numbers on a chart. Student communicated his desire to get a puzzle during free time; he led staff by the hand to the cabinet where the puzzles were kept. When he was redirected to make another choice, Student found a Thomas the Tank Engine book. Kessler tried to engage Student in discussion about pictures in the book, Student attempted to communicate by babbling. 42. Social cognition refers to the ability to take another’s perspective anticipating another’s thoughts and feelings in social situations such as peer relationships and play. Student’s repertoire of play skills was limited. Student often required hand-over-hand prompting to play with items. He was able to engage in parallel play with minimal prompting. To get Student to engage in cooperative play, he required maximum prompting. Student used eye contact and joint gaze to confirm that another understands his wants, but he did not engage in pointing or following another’s pointing or gaze. 43. Student demonstrated difficulty in executive functioning. Although able to sit for long periods of time, he was able to sustain his attention inconsistently. He could redirect himself if the new activity was a preferred activity or prompted by staff. Student was able to follow one-step directions with verbal and visual prompts. 44. Kessler opined that Student’s “deficits are impacting his ability to participate more independently in his current school placement and establish friendships with peers.” She recommended that Student receive ABA services, although she did not indicate the extent and method by which the ABA services should be provided. 45. On September 2, 2009, the IEP team met to review and consider the Cognitive Behavioral Assessment by Kessler. Present was Mother; Kessler; Bronson, as special education teacher; and a general education teacher. Mother provided the team with a recommendation from Dr. Lerner, written on two prescription pad sheets. Dr. Lerner recommended Student needed behavioral intervention/ABA at home to address behaviors and sibling interaction, an occupational therapy evaluation and services to address Student’s atypical hand use, oral habits and eating concerns. He also recommended that Student receive social skills intervention to remediate social learning deficits which result from Student’s autism. Kessler presented a summary of her assessment findings and recommendations. The IEP team recommended that Student be provided ABA therapy on Tuesdays and Thursdays at the Parkside School following the school day. Each session would be for one and a half hours for a total of three hours weekly. The IEP team did not discuss or adopt goals for the ABA therapy. Mother consented to the ABA therapy at the meeting. 47. Following the recommendation of Dr. Lerner, The District conducted an occupational therapy assessment. The IEP team met on October 12, 2009, to discuss that assessment. In attendance were Mother; an administrative representative; a general education teacher; Kaye Pugh, an adapted physical education (APE) teacher; Denise Harewood, an occupational therapist; and Melissa Moss, a SLP who was then working with Student. Harewood reviewed her occupational therapy (OT) assessment, and the team adopted two goals for gross motor skills and three for fine motor skills. Pugh reviewed her APE assessment. One of the fine motor goals called for Student to attend to a fine motor table top task for two to three minutes with two or fewer verbal prompts in three of five attempts. 9 Kessler testified that District behavior aides attended training consisting of four lectures which total eight hours and a one to two week practicum which involves hands on training. By March 20, 2010 in speech and in class and home, when given verbal and visual cues, [Student] will produce CVC (pop dad), CCV1CV2 (puppy, people, daddy), and C1V1C2V2 (happy, bunny, tuna) combinations in words using pictures and or objects with 80% accuracy three consecutive therapy sessions. 49. Mother consented to the addition of OT and APE services and the new goals which had been proposed. 50. Dr. Lerner referred Student for a speech and language evaluation. On October 21, 2009, Student was evaluated by Lauren Miles and Le Etta Vanderpool, two SLPs from the Providence Speech and Language Center (Providence) in Orange, California. Student was accompanied to the evaluation by his parents. Based on parental input, the evaluators reviewed Student’s family history, health history, development and the December 18, 2008 IEP. Student had been tested by Providence in March 2009 “revealing minimum response levels to sound field within normal range.” At first, Student retreated to his parents. As he became accustomed to the environment, he became engaged in appropriate interaction with the clinician. The evaluation consisted of the administration of the Communication and Symbolic Behavior Scales Developmental Profile Caregiver Questionnaire (CSBS-DP), play-based interactions, parental interview, informal oral motor observations and clinical observations. 51. The CSBS-DP is a questionnaire for parents and is used to determine whether a child has a developmental delay or disability in seven language areas: emotion and eye gaze, communication, gestures, sounds, words, understanding, and object use. This tool provides normative data for children between six and 24 months of age, but it can also be utilized for preschool children up to the age of six, whose developmental functioning level is less than 24 months. In the composite scores, Student scored in the “area of concern” for all three composite scores-social, speech and symbolic communication with scores in the second, fifth and ninth percentiles respectively. In his cluster scores, Student scored in the “area of concern” range for communication (ninth percentile), gestures (first percentile), and understanding (fifth percentile). Student scored in the 63rd percentile in emotion and eye gaze, the 16th in sounds, and 25th in object use. 10 Moss has a B.A. and M.A. in communication disorders as well as her CCC and clinical rehabilitation credential. She has been employed by the District since 2002 and as an SLP since 2005. 52. The evaluators examined six areas which were behavior and play skills, social communications, speech communications, symbolic communications, speech production, and voice/fluency. Their conclusions were based on the CSBS-DP and their observations. In behavior and play skills, Student was able to play independently and would occasionally make eye contact and vocalizations with the clinician. Student did have difficulty following single step directions and participating in clinician-directed activities. Based on parent interview and the CSBS-DP, Student demonstrated “significant delays in all areas of social communication.” Student also demonstrated significant delays in all areas of speech communications. It was noted that Student is unable to use recognizable words to communicate nor does he put two or more words together. He also demonstrated significant delays in symbolic communication as Student had not demonstrated skills to understand words or short phrases without gesture, pretend play with toys, or put two or more actions together in sequence of play. As to speech production and voice/fluency, the evaluators were unable to assess due to Student’s limited verbal output and limited imitation. 53. The evaluators diagnosed Student with receptive and expressive language delay as he “presents with a severe expressive and receptive language delay characterized by limited vocalizations, no verbal output, no verbal imitation, limited gestural imitation, and limited listening comprehension secondary to a diagnosis of Autism.” They also observed that “[i]ndividual therapy is warranted at this time to address overall delays in communication, interaction, and play skills.” The evaluators recommended group speech and language therapy for 30 minutes twice per week. Encourage adult-child interaction through joint attention and play skills. Improve social, speech, and symbolic communication skills. Encourage the production of age-appropriate speech sounds within limits of oral-motor-sensory abilities. Assess oral motor skills within the context of the therapy program. Develop a home program to facilitate carry over of new skills into outside environments. Student will respond to his name by looking in three out of five opportunities, as prompted during play or activities of daily living. Student will participate in three circles of communication during play at least two times per therapy session. Student will imitate fine and gross motor signs and gestures (e.g., pointing) during play, singing, or activities of daily living. He will look at a known person or object of interest as directed in three out of five opportunities during play or activities of daily living. He will communicate using gestures, reaching, or pointing to request an item of interest during play five times per session. Student will take an item as prompted by clinician or parent as prompted (holding object out) and return it when prompted in four out of five opportunities during play or directed activities. He will increase use of age-appropriate phonemes (p, b, m, t, n, k, g, w, and h) in babbling, CV/CVCV imitation, and functional vocabulary words (more, ball, go, hi) during play or activities of dally living as measured by parent report and clinician observation. 55. Providence commenced providing services on March 18, 2010. Student’s then SLP, Randi Horikawa, noted in a May 4, 2010 written report that Student “had made progress and was starting to imitate word approximations and gestures, initiate communication and take turns during play.” Although Student had made progress, he had met only two of his 15 treatment goals. She also noted that Student had increased joint attention and ability to attend to structured tasks so that the duration of sessions could be increased. 56. On September 24, 2009, the Orange County Regional Center referred Student to the CARD11 for a functional behavior assessment. The purpose of the assessment was to assist Student’s family in securing programming and services from the Regional Center. The assessment was conducted by Dana Kerby, a CARD case consultant. She produced a written report which was reviewed by Vincent L. Redmond, Jr., a CARD regional director. Student’s referral behaviors, as confirmed by parent interview and direct observation by the assessor, were elopement, non-compliance, tantrums, physical stereotypy, and visual stereotypy. Parents reported that these behaviors have been ongoing since Student was two years old. Kerby also noted that Student had not as of that date received any behavioral interventions. 57. Kerby noted that Student’s elopement, non-compliance, and tantrums were evoked by similar antecedents and followed by similar reinforcers. Non-compliance occurred when Student was asked to engage in a non-preferred activity or he was denied a preferred item. Kerby observed seven episodes of non-compliance which occurred three and a half times per hour. Parents had reported that Student engages in six non-compliant episodes per hour. Elopement, which was generally preceded by a period of nonengagement, occurred after Student was given a verbal request to engage in the non-preferred activity. Although Kerby did not observe an instance of elopement, Mother reported that such occurrences happen on a daily basis. Student would also sometimes go into tantrum when he was denied access to a toy or location or if instructional demand was placed on him. Tantrums would include screaming, crying, whining sometimes paired with throwing himself on the floor. Parents reported tantrums at a rate on one per hour, while Kerby observed one tantrum which was at frequency of one half per hour. The replacement behavior suggested was to teach Student to appropriately demand an alternative activity or maintain a desired item or cease the non-preferred activity. 11 CARD is a state certified non-public agency (NPA) which provides one-to-one ABA services. 58. Physical and visual stereotypy are evoked automatically and not as a result of any external social consequence. Physical stereotypy consisted of repetitive behaviors such as hopping up and down with an open mouth, placing the back of his hand to his mouth, pressing his mouth or chin against hard surfaces, lifting his shoulders, and tapping with an open palm. The frequency of such behaviors was 11 times per hour during Kerby’s observations, which basically coincided with the parental report. Visual stereotypy consisted of using peripheral vision to look at items and squinting while holding an object directly in front of his face. Parents reported this behavior at five episodes per hour, while Kerby noted the same rate in the home but none in the community observation. These behaviors occurred during times when Student had no demands placed on him, when engaged in independent and/or joint activities. The stereotypy ended when Student was engaged in an appropriate activity. 59. Kerby recommended that differential reinforcement of alternative behavior (DRA) be utilized to extinguish Student’s maladaptive behaviors of tantrum, elopement and non-compliance. This is accomplished by allowing Student to have a desired tangible or a break when he engages in an appropriate response. As to the stereotypy behavior, Kerby recommended differential reinforcement of incompatible behavior (DRI) to immediately engage Student in an appropriate incompatible behavior so that he is reinforced to engage in the appropriate behavior. An example is when Student engages in physical stereotypy, the therapist will prompt him to play with another item in an appropriate manner that differs from his stereotypic behavior. 60. Kerby recommended 13 annual goals to be worked on in the areas of response to name, verbal imitation, verbal directions, non-verbal imitation, manding (indicating wants), object discrimination, toileting, feeding/eating, grooming, independent play skills, imitative play, turn taking, and interactive play skills. Each of the goals included four month and eight month incremental goals. Kerby also recommended that Student receive 25 hours of direct ABA services per week on a one-to-one basis to focus on adaptive living skills, maladaptive behaviors, functional communication skills, social and play skills. Additionally, Kerby recommended that parent consultation be provided at eight hours per month and supervision of the program for eight hours per month. 61. Henry J. Moore, III, received a B.A. and M.A. in psychology and is currently a regional director with CARD.12 He began as a behavior modification therapist from 1994 to 1995 with the UCLA Clinic for the Behavioral Treatment of Children, where he worked with Dr. O. Ivar Lovaas, a clinical psychologist who is considered the father of ABA technique. Moore joined CARD, which branched off from Lovaas, in 1995. Moore trains therapists in ABA techniques, consults with school districts, develops and supervises individualized programs for children with autism, and oversees the clinical and administrative management of multiple CARD offices. Moore describes ABA as a systematic way to intervene to improve socially significant behaviors. CARD provides home based ABA services designed to reduce maladaptive behaviors so as to allow the child to be able to function in the school and community environments. Moore cited several articles from peer reviewed journals that replicated the findings of the Lovaas original 1987 article as to behavioral treatment. He also pointed out that studies had shown that ABA intervention is also effective in the community setting as well as in the home. Moore also stated that the studies show that ABA therapy should commence as early as possible. Moore felt that Student required a comprehensive ABA program which would total 30 hours at both home and school with the home program at 25 hours and 5 hours at school based on Student’s deficit areas and maladaptive behaviors. 64. The regional center funded 19 hours per week of one-to-one in home ABA services, 8 hours of consultation monthly, and 8 hours monthly program supervision to address Student’s maladaptive behaviors and skill deficits related to home and general community settings. CARD commenced services on January 11, 2010. 12 CARD has twenty offices in California, Arizona, West Virginia, New Zealand and Australia. 13 The District offered no evidence to the contrary. 65. Betty Tia started as Student’s case supervisor when CARD services commenced. Tia has been with CARD since July 2004, starting as a therapist and today is a case supervisor. She has a B.A. in psychology and a M.A. in psychology, applied behavior analysis. CARD employs the discrete trial training (DTT) as its methodology. DTT is a teaching method based on repetition which involves prompting a specific behavior with the child receiving a reinforcer for generating the proper response. Student received ABA services from a senior therapist and four junior therapists who were under Tia’s supervision. Tia is supervised by Moore who regularly reviews data collected, views video of sessions, and conducts observations. As part of her responsibilities, Tia reviews and analyzes data accumulated from the therapists to track frequency rate of behaviors, makes observations of the child, and drafts or revises goals based on the data. Student received in-home ABA five to six days per week. At the start of the CARD-provided home ABA services, Student was unable to communicate what he wants, engaged in stereotypical behaviors, had a low ability to discriminate objects, lacked the ability to engage in joint attention, eloped and threw tantrums to avoid non-preferred activities, was unable to follow simple directions, was noncompliant, and had toileting problems. 66. On May 1, 2010 (approximately three and a half months after CARD services began), Kerby authored a written report detailing Student’s progress. Student met his four and eight month goals in elopement and non-compliance. Student failed to meet his four month tantrum goal as his tantrums increased, which was attributed to the increased demands placed on Student. In both physical stereotypy and visual stereotypy, Student met his four month, eight month, and 12 month goals. In addition to the ultimate goals, CARD also worked on specific goals in the areas of receptive and expressive language, self-help, and self-direction. These goals were to be completed by November 2010. Receptive and Expressive Language. Student had six goals in the area of receptive and expressive language. As of April 2010, he had met three in the areas of name recognition, following verbal single-step compliance commands, and object discrimination. He also did not meet his goals in verbal imitation (imitate three consonants paired with five vowel blends), non-verbal imitation, and manding (he continued to require full verbal and partial physical prompting to select a desired item). Self-Help. Student was unable to meet any of his three self-help goals. In the area of toileting, Student was able to communicate his toileting needs in the area of urine only. In eating, Student was able to drink water and juice when offered but not able to eat baby carrots. In grooming, he was able to master the six steps in tooth brushing but only with 50 percent accuracy. Self-direction. Student was demonstrating “emerging skills” in the areas of imitative play, independent play, turn taking, waiting, manding (requesting) halting non-preferred tasks, and interactive play. 67. CARD added new specific goals in joint attention, receptive and expressive language, and self-help. In the receptive and expressive language, the three new goals were “yes/no” where Student communicated by gesture his desire for “yes” and “no;” follow twostep simple functional directions; categories; and understanding environmental sounds (i.e., car, whistle, siren). Student’s self-help goal was that he would independently un-button and unsnap his shirt or pants. This recommendation of continual 1:1 individualized work is supported by recent and historical research indicating that a child with autism who demonstrates similar overall level of deficits as [Student] will learn and progress better in his social, educational and independent environments after receiving individualized instruction instead of ‘eclectic’ group instruction that is often found in special education classrooms or autism support groups. 70. On March 8, 2010, the IEP team reconvened for the annual IEP meeting. Parents were present; as were an administrative designee; a general education teacher; Bronson, special education teacher; Moss, SLP; Kaye Pugh, APE; and Laurie Welch, an OT therapist. Pugh and Welch reviewed Student’s progress in OT and APE. Moss reported that Student had met two out of his four speech and language goals. She reported that Student could name five objects and five pictures from common noun categories using clear vocalization three out of five times. Socially, Student used primary verbalizations with pointing to request items, and get his needs met while participating in simple turn-taking activities three out of five trials. In receptive language, she reported that Student “demonstrated great understanding of common noun objects and identifying objects by function; however [he] can not answer ‘yes-no’ questions three out of five times in a speech session.” Student could also follow three out of five commands and identify common pictures by name. He also could repeat vowel sounds, vowel sequences, consonant sounds, consonants and vowels to make syllables, two syllables in sequence using different vowels in each syllable, short phrases using previously practiced syllables, and repeating one syllable words. Moss also stated that Student made progress especially after starting ABA services with CARD. She felt that Student needed individual attention to make progress in a short amount of time. Moss recommended that Student’s speech and language therapy be increased to three 30 minute sessions per week on an individual basis. March 2010; [Student] is able to attend to preferred tasks for at least 5 minutes with no more than one verbal prompt. [Student] will complete non-preferred teacher directed activity for 5 minutes with 4-5 verbal prompts and/or a high rate of tangible reinforcement (i.e., cheerios after each step for the task). Despite Bronson’s report of progress, the evidence was to the contrary as Student continued to require heavy and constant reinforcement by staff as to each step of a preferred activity, and he also continued to require numerous prompts to attend to non-preferred activities. After one year attending the SDC, Student had failed to increase his classroom participation. 72. Parents requested that Student receive academic ABA services with goals and objectives. Because Mother took ill, the meeting was ended following a quick review of proposed goals by Bronson. The Parents requested to take home the IEP paperwork to review. The District’s FAPE offer was for Student to continue in Bronson’s SDC for the remainder of the school year five days per week for 200 minutes per day; to attend a kindergarten mild/moderate SDC for the next school year; three individual speech and language therapy sessions per week for 30 minutes per session; two 90-minute ABA therapy sessions per week; and continue APE and OT services. Additionally, the District offered to conduct an ABA assessment by an autism specialist.14 The District also offered Student to attend an SDC during the extended school year (ESY) from June 21 through July 16, 2010, five days per week for 200 minutes daily; speech therapy four times per week for 50 minutes per session; and OT and APE services. The ESY offer did not include behavior intervention services. Mother signed her consent to a proposed assessment plan to have an ABA assessment by an autism specialist at the meeting. 73. On March 12, 2010, Mother signed the IEP and consented to the IEP except for ABA services. 74. The District’s ABA/Autism Assessment was conducted by Sara Zerby, a District ABA supervisor at Chapman Hills Elementary School. Zerby has a B.A. in early childhood special education and a M.A. in special education with an emphasis in autism. She is a certified teacher in early childhood special education and mild/moderate special education. Since the 2003-2004 school year, she was a special education pre-school and kindergarten teacher for the District. Currently, Zerby teaches a mild/moderate kindergarten class. Since November 2009, she has also been an ABA supervisor. Zerby teaches for half the day and then conducts ABA therapy the second half of the day. Prior to this assessment, Zerby had conducted two other assessments. The evaluation occurred on March 22, 2010 and April 15, 19, and 20, 2010. Zerby produced a written report dated April 21, 2010. In her report, Zerby stated that the reason for referral was to determine if additional services were appropriate for Student and to provide present levels of performance in pragmatic language, social cognition and behavior. The assessment consisted of a teacher interview with Bronson, records review, and four observations. One of the observations was conducted in the home during an ABA session. 75. Bronson related that Student had made “great progress” since August 2009, as he was able to imitate on request, match his colors, name some letters and numbers, complete most tasks, and follow verbal directions. She also stated that he had made progress in joint attention and awareness of peers. Bronson listed as areas of weakness as attention, social interaction, academics and communication. His areas of strength were listening to and singing music, listening to stories and reading books, and being highly motivated in tasks involving letters and numbers. Student was also reported to be completing fine motor tasks such as tracing his name and coloring. 76. Zerby observed Student for a total of one hour on March 22, 2010, during library time and APE. During library, the class sat while Bronson read a story. At first, Student walked away from the group until Bronson requested he sit with her, which he did. He sat with his head down in his lap, 10 times, until prompted. Student required 12 prompts and used babbling noises 22 times. During APE, Student required verbal and sign prompting each step. He did ask for (saying “pee-pee”) and used the bathroom without problem. The class divided into groups and Student transitioned to the assigned group. He did require verbal and sign prompts to complete the initial task and one-on-one prompting to complete additional tasks. During the 30-minute APE portion, Student required 11 verbal prompts, and he made babbling noises seven times when he was asked to sit. Student was not engaged in the class gross motor activity. 14 The written notes of the IEP do not mention that the District offered ABA services in the offer. The form documenting the FAPE offer does include ABA services twice per week for 90 minutes per session. But an amendment to the prior IEP was presented to Mother which eliminated ABA services (see paragraph 46.). 77. Zerby conducted a second observation on the morning of April 15, 2010, during recess. For the first 15 minutes of the half-hour recess, Student was riding and sharing a taxi bike. He willingly gave rides to peers, permitted others to ride the bike, and was given rides by peers. Student did cover up one ear and place the other on his shoulder. During the second half of recess, Student walked around the playground and picked up dirt which he ran through his fingers while watching it fall. Zerby noted that Student’s picking up dirt was a stereotypical behavior. When the teacher announced line up at the end of recess, Student walked to the correct line and stood with his hands over his ears until the other classes left. During the entire observation, Zerby did not observe Student having any interaction with peers unless approached by the peer. Any such interaction lasted for less than one minute. 78. Zerby next observed Student during circle time on April 19, 2010. Bronson was teaching a lesson about ladybugs and counting the dots on their wings. Student looked at the teacher while she spoke, but he did not participate when the class counted aloud. The teacher then read and explained a book on ants. Student did look towards the teacher while biting his nails. The class then participated by choral response. Student did not participate in this choral response. When the class was released to centers, Student went to the library and searched through various books. He flipped pages from back to front. He also pulled the books up to his face and opened his eyes wide. One book had stickers, Student touched each sticker. Zerby classified this action as a self-stimulating behavior. Student responded to a center when the teacher called his name. He required hand-over-hand assistance to trace letters. Student was able identify the numerals three and four, but he needed hand-over-hand prompting to identify numbers one and two. In completing an art project, Student required hand-over-hand assistance. Zerby observed Student at parallel play, but he did not initiate any interaction with peers. 79. Zerby’s fourth observation was in the home setting on April 20, 2010, during his ABA session. Student was engaged although he did request frequent breaks. He was able to complete all tasks. Often, the therapist would redirect Student’s attention by saying “look at me.” Zerby felt that Student appeared to making progress. 80. Zerby found in the area of pragmatic language that Student could follow one-step directions and use gestures to communicate wants and needs with prompting. In determining whether Student had made progress, Zerby relied on Bronson and progress reports. Although Student made some improvements in expressive language, he did not use expressive language to communicate his wants, needs or thoughts compared to peers. In the area of social cognition, Student made consistent use of eye contact and demonstrated joint attention skills. Student did not demonstrate an understanding of emotions or cause and effect of contingencies. He was not able to sustain attention to task consistently. He had difficulty identifying solutions to simple obstacles in life. Student did not demonstrate maladaptive behaviors, but he did engage in stereotypical behaviors such as babbling, and opening the mouth and eyes wide while jumping or bouncing. Zerby’s observations directly contradicted the information imparted by Bronson during her interview and the present level of performance contained in the March 8, 2010 IEP. Student demonstrated no evidence that his joint attention had improved as he did not attend to class activities in listening and singing, listening to stories or reading books, and was not highly motivated in activities involving numbers or letters.15 Instead, Student was merely present but not paying any attention to what the class was learning. Zerby recommended that (a) Student continue to attend a language based classroom with low student-to-adult ratio; (b) functional language be promoted throughout the school day, (c) socialization facilitated by classroom staff to promote social language and advancement of social cognitive skills; and (d) receive one-toone ABA therapy services five 60-minute sessions per week. The District ABA services would work on functional skills needed in the academic environment and would take into account the CARD-provided home services. 81. On April 23, 2010, an IEP meeting was held to review the Zerby assessment. In attendance were a District representative, Bronson, Zerby and Mother. Zerby reviewed her assessment report and stated that Student was showing growth in the classroom and in the ABA sessions conducted by CARD. Mother reported that Student was demonstrating sensitivity to noise from the environment although the noise level is not loud to peers and others. She also reported that Student had a tendency to pull pictures or objects close to his face. Since Student’s vision check-up showed no problems, Mother concluded that this behavior was due to visual stimulation issues. She also stated that Student uses peripheral vision to view objects. The District offered to provide Student five 60-minute sessions of ABA per week at Student’s school, Chapman Hills, as recommended by Zerby. Mother expressed concerns as to the qualifications of the person (an ABA aide) providing the District ABA services. Mother stated that she would pay for an independent evaluation before deciding about the District offer. She also requested permission for the evaluator to observe Student in the classroom setting. The meeting then adjourned. 82. Parents retained Robin L. Morris, Psy.D., a clinical psychologist to conduct a psychological evaluation of Student. Morris received her B.A. in 1991 and an M.A. in clinical psychology in 1992. She received a Psy.D. in 1997 with her doctoral project on autistic children using physical play as an adjunct to treatment. She has been a registered psychologist since 1997. She was in private practice conducting cognitive behavior counseling for autistic children from 1994 through 1998; was a case manager at Value Options; and since 2001 has been a clinical psychologist in her own practice specializing in the areas of autism and learning disabilities. Morris’ evaluation was conducted on May 5 and 10, 2010 when Student was four years, nine months of age. In conducting her evaluation, Morris conducted a document review consisting of the January 2, 2009 District assessment, the March 8, 2010 IEP, and the Zerby assessment; conducted interviews with Student’s mother, teacher, and Kerby of CARD; observed Student in his classroom; conducted a three-hour behavior review in her office; and administered 10 standardized tests. The tests administered were the Mullen Scales of Early Development (Mullen); Psychoeducational Profile: TEACCH Individualized Psychoeducational Assessment of Children with Autism Spectrum Disorders-Third Edition (PEP-3); Bracken School Readiness Assessment-Third Edition (BSRA-3); Beery Developmental Test of Visual Motor Integration (VMI); Peabody Picture Vocabulary, Fourth Edition (PPVT-4); Gilliam Autistic Rating Scale-Second Edition (GARS-2); Autism Diagnostic Observation Schedule-Module One (ADOS); Child Development Inventory (CDI); and the parent and teacher forms of the Social Skills Rating System (SSRS). 15 It also was apparent that Student’s stereotypy had increased compared to when he began attending Bronson’s class. 83. Student’s ABA supervisor, Kerby, reported that CARD was then working on promoting vocal language and verbal approximations (i.e., “I want ___”). At the time, Student’s language was only beginning to emerge. He could communicate using some signs which would be paired with verbal approximations. As to Student’s maladaptive behaviors, there had been drastic improvement in tantrums which still tended to occur when he was denied access to tangible objects and to escape. Student still continued elopement in the community. Student exhibited physical stereotypy including hand flapping and tapping of objects. CARD also worked on toilet training and teeth brushing. 84. Mother reported to Morris that over the preceding three months Student had shown improvement in his language and could say words such as “eat” when hungry and was beginning to use “I want____.” Student would pull familiar adults by the hand and lead them to an object he desired. He was able to respond to his name with higher frequency and could follow one-step commands with greater regularity. Student continued to elope in the home and community and engage in self-stimulatory behaviors. Student was toilet trained but failed to wipe after a bowel movement and had urination accidents on occasion. Student would purposely wet his pants to avoid completion of a non-preferred task. 85. Bronson also reported that Student was starting to imitate speech by using “I want ___” to express desires. Student persistently led adults to preferred objects. He was able to follow verbal instructions if they were part of a routine, and he understood one-step directions that were familiar. Student was able to imitate new tasks (i.e., gluing down paper), after having the task modeled. Student was compliant, but he exhibited self-stimulatory behaviors including jumping when excited and using visual scrutiny of items. Student also turned over books and flipped pages repeatedly from back to front. Bronson reported that Student was aware of peers in his surroundings but did not interact with them. He required constant one-on-one redirection to attend in a group setting. Student was able to match twodimensional objects and had learned to point to colors. 86. On May 5, 2010, Morris observed Student at Chapman Hills Elementary School for 75 minutes. Student’s class comprised 14 children (three were absent that day) and a teacher plus four aides. During recess, Student did not engage with the other children as he wandered the playground alone. He walked to a tree, rubbed it with his hands and then licked his fingers. For a 10-minute period, he then sat down in a sandy area and repeatedly poured sand from his hand watching it fall and then poured it down his shirt. He then poured the sand next to his ears and then his hair. When the teacher called for the class to enter the classroom, Student lined up and entered the classroom. During a lesson, Student sat quietly but did not pay attention nor participate in class recitation. Student was escorted to a workstation and was assisted by a class aide in a craft project. Later, Student was able to imitate gluing items on a paper at a new workstation without assistance. After completion of the task, Student did a puzzle. When instructed to clean up, Student did not comply and sat flipping pages in a book. At a music lesson, Student was not able to imitate dances the class was doing, and he became fixated with putting his hands in his pockets. Morris noted that Student could not participate independently in the class activities. 87. Morris observed Student during a three-hour evaluation. Student was able to sit in his chair appropriately for his age level but was restless and had difficulty attending. He required numerous prompts to attend. He was unable to understand instructions for testing designed for four year olds so that some tests could not be administered. Student got the majority of his needs met by bringing objects to his mother, who was present for part of the session, or Morris. Although highly motivated to verbalize, Student struggled as he could not say words. He was consistent in responding to his name. He was able to comply with one-step instructions when he understood them, but he was unable to follow two-step directions. Student engaged in stereotypy by taking a Thomas the Train book and flipping its pages from back to front, squinting his eyes tightly, moved objects close to his mouth in a repetitive fashion, jumped repeatedly, and opened and closed the door. During breaks, Student was offered a variety of toys in which he demonstrated limited interest. He would return to the Thomas book and flip the pages. 88. The Mullen assesses early intellectual development and school readiness for children up to 33 months in gross motor and 68 months in cognition. The Mullen is broken into five scales. Student was in the “very low” range in all areas. Student scored an age equivalent of below 33 months for gross motor and 39 months for fine motor. In visual reception, Student was an age equivalent of 26 months. He scored age equivalents of 14 months in receptive language and 15 months in expressive language. The BSRA-3 is utilized to measure academic readiness by evaluating a child’s understanding of 85 functional concepts in categories of letters, colors, numbers/counting, sizes/comparisons, and shapes. The assessment was aborted because Student was unable to receptively identify colors, numbers, letters, or shapes and comparisons.16 The PPVT-4, which measures receptive vocabulary, was also aborted due to Student’s inability to point to a picture choosing from one of four quadrants. 89. The CDI is a parent questionnaire that measures development in the areas of social, self-help, gross motor, fine motor, expressive language, language comprehension, and letter and number skills. Student’s general development score was an age equivalency of one year seven months and was in the “significantly delayed” range. Student scored “significantly delayed” in all areas. His age equivalencies were less than 12 months in social development, expressive language and language comprehension. He had an age equivalency of one year, nine months in fine motor; and one year six months in numbers. Student’s age equivalent scores were two years five months in self-help; two years two months in gross motor; and two years seven months in letters. On the VMI, which assesses an individual’s ability to integrate visual and motor abilities, Student received a standard score of 81, which was in the below average range with an age equivalency of three years six months. 90. On the GARS-2, which measures whether the child has many of the characteristics associated with autism, Student received an autism index score of 109 which fell in the “very likely” probability of Student having autism. The ADOS is a standardized assessment tool which aids in the diagnosis of autism spectrum disorders. Student’s scores exceeded the autism cutoff in communication, reciprocal social interaction, and communication and social interaction. Student demonstrated limited responsiveness with Morris and no ability to smile in response to purely social overtures from an adult. He did not change facial expressions nor did he wave back to the examiner after she waved at him. When Morris attempted to engage Student in a tickle game, he did not integrate gaze, facial expressions and vocalizations. 91. The SSRS assesses a child’s social behaviors by a questionnaire. Mother filled out the parent form, while Bronson did the teacher form. Mother’s form scored Student with a standard score of 48 in social skills which fell below the second percentile (low range) and a 91 in problem behaviors which was in the 27th percentile and in the average range. Bronson scored Student with an 86 and 88 standard scores in social skills and problem behaviors respectively which were in the 18th and 21st percentiles (“average” range). Mother reported that Student never follows instructions, helps with household tasks, participates in group activities, introduces himself to new people, starts conversations, nor controls his temper. Bronson indicated that Student never makes friends, initiates conversations with peers, or accept peers’ ideas for group activities. Mother reported problem behaviors including tantrums, fidgets excessively, never aggressive to people or objects, never acts sad, and never disobeys rules or requests. Bronson reported that Student very often follows instructions, controls his temper in situations with adults, waits turn in activities, and controls his temper with peers. 92. The PEP-3 comprises two parts. The first is a performance portion that uses direct testing and observations and a second portion as to behavior. On the performance portion, Student scored at 27 months in cognitive skills, less than 12 months on expressive abilities and 18 months in the area of receptive language. Student was at the 30 month level for fine motor abilities and 38 months for gross motor skills. In visual motor integration abilities, Student scored at the 32 month level. On the second portion, Student made unintelligible sounds, did not communicate at an age appropriate level, rarely communicated spontaneously, did not play in appropriate ways, and his attention span was not age appropriate. [Student] was thought to have benefitted from his current setting because of the tremendous motivation and energy the teacher displayed. Though the examiner believes the teacher is an appropriate fit for [Student], she is aware the teacher is unable to successfully offer him the individual support he needs. The examiner believes [Student] requires 1:1 aide who has significant training in the area of learning theory and can be supervised by a doctorate level or supervisor who holds a B.C.B.A. It is the examiner’s belief 1:1 aide assistance is still needed during class time to address off task behaviors, promote socialization, increase smooth and efficient classroom transitions and increase correct pencil grip when participating in writing activities. It is recommended in the classroom and at home, social scenarios be set up between [Student] and children from school or in the neighborhood. These opportunities should be somewhat novel in nature with the goal of addressing his off task behavior simultaneously with encouraging prosocial behavior (taking turns, sharing, reciprocity). Social goals can also be addressed during the time [Student] participates in his typical classroom setting. 94. Morris recommended that Student (a) continue in his then current placement with the support of a trained one-to-one aide and that Student attend school five days per week for three hours per day; and (b) receive ABA therapy at the current rate at home and for a total weekly amount of 25 hours17 to address Student’s behavior, increasing communication and teaching prosocial behaviors and establish goals regarding safety. Morris also recommended that parents continue to receive training on how to use positive behavioral management; goals should incorporate cognitive flexibility, compliance, tolerance for distressing auditory stimuli, social and adaptive living skills relating to toileting; and Student should be taught basic safety information. Morris recommended the following specific goals: (1) increase Student’s eye contact when spoken to by an adult or peer across different settings; (2) increase Student’s transitioning speed in class; (3) increase Student’s ability to attend to teacher’s instruction from a distance of two feet; (4) increase his ability to attend for longer time periods; (5) increase his use of gestures when communicating; (6) increase Student’s ability to reproduce shapes and designs using paper and pencil; (7) increase his awareness of others’ emotions; (8) address his ability to appropriately engage in age appropriate activities including looking at books, playing sports and board games; (9) decrease stereotypy; (10) decrease escape avoidance behaviors including wetting his pants; and (11) increase his ability to independently complete tasks including taking off shoes, brushing teeth, and wiping after a bowel movement. 16 This is contrary to Bronson’s progress reports, her statements made at IEP meetings, and the present levels of performance stated in Student’s IEPs. 17 This requirement would include the 19 hours Student received at home from CARD plus an additional six hours at school. 95. On May 18, 2010, a 50-minute IEP meeting was held at Mother’s and Bronson’s request to review the independent evaluation conducted by Morris and to discuss the District’s offer to add ABA services. Mother, the Chapman Hills principal, Zerby, and Bronson were present. The Morris written report was discussed, and no one took exception to it. Mother requested that the District provide Student a one-to-one aide during the school day in lieu of ABA services after school as recommended by Morris. She also expressed concern as to the qualifications of the Behavior Support Aides who provide the District’s ABA services. Mother requested that ABA services be provided by a credentialed ABA person in lieu of an aide.18 She also requested that Student’s aide be from CARD to offer continuity from the home ABA to school. Zerby suggested that Student might be more appropriately placed within the District’s Success Program, a moderate/severe SDC geared to autistic children. Mother and Bronson did not feel it was appropriate for Student because it was too restrictive an environment. After a discussion, the IEP team decided that the Success program was not an appropriate placement. The meeting was adjourned to June 2, 2010, to allow consultation with Kristi Franco, the District’s special education coordinator for elementary schools. 96. On June 2, 2010, the IEP team reconvened to discuss the addition of ABA services and parental concerns related to such services. The District offered after-school ABA services five 60-minute sessions per week. Parents requested a one-to-one shadow aide provided by Student’s current ABA provider, CARD, for the 2010-2011 school year in lieu of District offered ABA. Student had been placed in a kindergarten SDC for 2010-2011. Mother also pointed out that after school services would conflict with other services that Student was receiving outside of those provided by the District. Parents did not consent to the District’s FAPE offer as they wanted to consult with others. 18 District ABA services were administered by a District-trained aide under the supervision of a District autism expert. 98. Parents replied to the June 8, 2010 letter on June 17, 2010. Parents notified the District that they were withdrawing Student from his current SDC due to lack of support and placing him in a private kindergarten with a one-to-one aide starting July 2010. Parents also stated that they would seek reimbursement from the District. Parents cited in support of their position that Student has made no progress as evidenced that he had not met his goals and the Morris evaluation which demonstrated the necessity of a one-to-one aide. 100. Student enrolled in the kindergarten at Salem Lutheran School (Salem), which was located close to his home. The class consisted of 17 pupils, a classroom aide and a teacher, Ms. Roper. Student attended three days per week for three and a half hours per day. Student also had a CARD shadow aide, Jackie Holland. 101. On September 22, 2010, Morris observed Student at Salem. During the first 15 minutes, Student was present without Holland and with two to three other children prior to the class entering. Morris noted that Student’s abilities and behavior differed without his aide present. Without his aide, Student moved from activity to activity staying only 30 seconds at each activity unless his teacher offered him individual attention. Without the aide, Student did exhibit gestures including shaking and nodding his head and pointing at desired objects. Holland had a structured approach which emphasized using language and social settings. Student had to verbally ask for items using sentences modeled for him by Holland. She also attempted to increase the length of words Student spoke spontaneously into sentences. Holland set up scenarios to engage Student in social situations with peers. Student’s play repertoire was minimal and he required significant modeling to engage in play with peers. After engaging in an activity for one minute, Student would engage in avoidant behavior. Holland would keep him at the activity by prompting. Holland said that the current goal was to have Student engage in an activity for two and a half minutes at a time. 103. Lindsay Mitchell, a SLP from Providence, began working with Student on December 1, 2010. Mitchell has a B.A. in communication disorders and an M.S. in speech language pathology. She has been a licensed SLP for seven years. She worked as a SLP for the Rialto Unified School District from 2006 through 2008 and with Pediatric Therapy Solutions from 2007 to 2010. In 2010, she joined Providence. Additionally, she works with the Children’s Hospital of Orange County (CHOC) with the cleft palate team. Mitchell estimates that over half of her case load involves children on the autism spectrum. He is now able to readily imitate verbal models and is beginning to use language in a functional manner. Group therapy has focused on developing skills which allow [Student] to participate appropriately in a group setting (sitting and attending, following directions, basic turn taking, using language to interact with peers, etc.). [Student] has had fair participation in his current treatment program. Attendance has been excellent. There has been good follow-up with carry-over at home. Clinician reports limited measurable improvement within the treatment session. 19 In Franklin’s initial assessment, Student’s expressive and receptive skills had been measured in the six to nine month range and his pragmatic skills at nine to 12 months. 20 In May 2011, Student’s group was discontinued. 106. On April 30, 2011, Tia authored a written progress report. Student was receiving 20 hours of one-to-one ABA support including a classroom aide three days per week while Student attended a general education pre-kindergarten class at Salem. CARD also supplied eight hours per month consultation and eight hours per month of supervision. In addition to the CARD services, Student was receiving two 30-minute individual speech and language sessions weekly from Providence. Student still could not maintain attention so he required individual support. 107. As to Student’s ultimate goals for elopement, non-compliance, tantrum and stereotypy, he had made some progress but had not met his six month goals. For elopement, Student had decreased these incidents from the rate of .72 times per hour six months earlier to .19 times. In a generalized setting (the community), Student decreased incidents of elopement in stores from 72 percent to 45 percent. In non-compliance, Student decreased incidents from 1.01 times per hour to .69 times. But in a generalized setting, his noncomplaint behavior was at 45 percent of the time. Student reduced incidents of tantrum from .96 times per hour to .58 times. In a generalized setting, Student’s tantrums decreased from 90 percent to 55 percent. Student did not make any progress on physical and visual stereotypy goals. Student met his joint attention short time goal as he was able to attend to a task or familiar person for up to two and a half minutes in 8 out of 10 opportunities. Student demonstrated progress in areas of communication and following simple instructions, toileting needs, and turn taking. He also demonstrated the ability to identify happy, sad, mad, tired, and silly when stimuli was presented in a field of three. 108. The cost to attend Salem was three hundred twenty dollars ($320.00) per month for tuition plus a registration fee of one hundred seventy-five dollars ($175.00). Student attended from September 13, 2010, to June 2, 2011. Student produced a billing statement from Salem which indicated that Student had paid the sum of three thousand four hundred forty-four dollars ($3,444.00) to attend Salem for school year 2010-2011. 109. The cost to parents for the one-to-one shadow aide services provided by CARD for the 2010-2011 school year was sixteen thousand seven hundred seventy dollars ($16,770.00). 21 Parents are not seeking reimbursement for the Providence speech and language services as these services were paid through insurance. 110. Mitchell, Student’s expert, opined that the District’s offer of speech and language services of two 45-minute group sessions was inappropriate for Student. Mitchell testified that Student required speech and language services two 45-minute individual sessions per week. This is somewhat contradicted by the recommendation by the Providence October 21, 2009 report that Student receive two 30-minute individual sessions per week to address his delays in speech, communication, and play skills. Mitchell felt that Student was not a candidate for group speech because of his poor attending skills although six of the seven goals in Providence’s October 21, 2009 report could be worked on in a group session. The only goal requiring individual therapy was speech production, which was to increase the use of age-appropriate phonemes during play and daily living. Franklin indicated that small group speech sessions are preferable to work on eye contact, joint attention, spontaneous communication, imitating peers, and pragmatics. Franklin also noted that Student did not demonstrate joint attention, and he was a candidate for individual speech therapy because of the severity of his deficits. Moss testified that the absence of a speech production goal was “surprising.” Student failed to more than minimally participate in the group because of his inability to interact with peers, maladaptive behaviors (i.e., arm flapping, jumping up and down), and his attending problems. This resulted in his SLP, Horvath, to ask that Mother pick Student up early as the sessions were too long for him to handle. Moss, who later was Student’s SLP, recommended that he receive individual attention to progress in functional skills, speech aspects like word sounds and to increase the rate of progress in a short amount of time. Because of Student’s slow progress, meeting only two of four speech and language goals, the IEP team at the March 8, 2010 IEP meeting, adopted Moss’ recommendation to have Student’s speech services increased to three individual 30-minute sessions. 112. Moore testified that most autistic children lack classroom skills to benefit from the curriculum because of maladaptive behaviors and an inability to attend. This coupled with their severe communication problems and lack of social skills prevents these children from being able to learn. Based on Student’s levels, Moore opined that he would require at a minimum a 30-hour ABA program both at home and at school. Because of Student’s constant need to be redirected to stay on task and his maladaptive and stereotypical behaviors, Moore opined that Student required a full time ABA trained one-to-one aide. Bronson also testified that Student required maximum prompting for every step in a task in August 2009, and she was looking for ABA support to assist Student. Kessler noted that Student did not participate in circle time without constant prompting. An aide would assist in keeping Student on task, assist in socialization, reduce maladaptive behaviors, reduce stereotypy, and to continue and reinforce ABA techniques which were part of his home ABA program. Moore cited a number of peer-reviewed published studies and articles to support his position. Both Morris and Moore testified that they knew of no published articles or studies that would support the District’s three-hour ABA program offered at the December 8, 2008 and March 12, 2009 IEP meetings. Kessler corroborated Morris and Moore as she testified that she also had no knowledge of any published articles to support the District’s proposed three-hour ABA program for a child who presented with the levels of Student. Additionally, Zerby noted that as of April 21, 2010, Student still did not use expressive language to communicate his wants, needs, or thoughts. Student was able to follow one-step directions and use gestures to communicate his wants and needs with prompting. He was able to repeat certain words only when modeled by an adult. Zerby recommended that Student receive ABA one hour for five days per week. 113. Morris opined that Bronson’s class was an “appropriate fit” for Student because of Bronson’s motivation and energy as long as Student received the services of a trained one-to-one aide to address off-task behaviors and promote socialization. Kessler agreed that young autistic children lack the social and communicative skills necessary for learning from distal instruction, and it is generally assumed that initial skill development be accomplished from individual instruction. As described prior, Student rarely participated in class activities unless prompted. He had almost no interaction with peers. He often wandered alone during recess indulging in self stimulating behaviors like running sand through his fingers. Student constantly engaged in self-stimulatory behaviors and could not maintain joint attention independently. This was evidenced by the minimum, if any, progress Student made on his goals. Student showed no improvement in his academic readiness. Thus, Student was getting minimal academic benefit, if any, without a one-to-one ABA trained aide. 22 All references to the Code of Federal Regulations are to the 2006 version. (a-1) Did the District deny Student a FAPE at the December 18, 2008 IEP Meeting by failing to assess Student to determine if he was eligible for special education under the category of autistic-like behaviors? 26. Student contends that the District denied Student a FAPE by its failure to assess Student for eligibility for special education and related services under the category of autistic-like behaviors. The District contends that it was not in possession of sufficient information to suspect that Student may be eligible for special education under the category of autistic-like behaviors as Parents’ responses on the case history form failed to indicate that autism was a concern. (a-2) Did the District deny Student a FAPE at the December 18, 2008 IEP meeting by failing to offer Student appropriate behavior support therapy? (a-3) Did the District deny Student a FAPE at the December 18, 2008 IEP meeting by failing to offer Student appropriate speech and language services? 29. Student contends that the District’s December 18, 2008 IEP offer of two 45-minute group speech and language therapy sessions (speech sessions) was not appropriate to meet Student’s unique needs in view of his being non-verbal and his severely delayed receptive and expressive language and pragmatic language skills. Student contends that Student required individual speech sessions to meet his unique needs. The District counters that the speech sessions offered were appropriate and cite to the October 21, 2009 Providence report (Providence report) to support their position. The Providence report recommended that Student receive two 30-minute individual speech sessions per week. (a-4) Did the District deny Student a FAPE at the December 18, 2008 IEP meeting by failing to have a special education teacher present at the meeting? 31. Student contends that the District committed a procedural violation of the IDEA by failing to have in attendance at the December 18, 2008 IEP meeting a special education teacher. Student contends that the absence of a special education teacher prevented a full discussion of Student’s deficits and needs and might have resulted in an IEP which met all of his needs. (b-1) Did the District deny Student a FAPE at the March 12, 2009 IEP meeting by failing to offer Student behavior therapy services? 34. Student contends that the District’s March 12, 2009 IEP FAPE offer was not appropriate as it failed to include any behavioral intervention services. The District contends that the District’s FAPE offer was appropriate because Student did make “meaningful” education progress after starting the SDC class. (b-2) Did the District deny Student a FAPE at the March 12, 2009 IEP meeting by failing to provide Student with appropriate speech and language services? 36. Student contends that the District failed to provide Student with appropriate speech and language therapy services in that there was no speech production goal and that he should have been provided with individual speech sessions. The District contends that Student was making educational progress so that he was receiving a FAPE. (b-5) Did the District deny Student a FAPE at the March 12, 2009 IEP meeting by failing to have in attendance a speech and language pathologist? 39. The IEP team for the March 12, 2009 IEP meeting failed to include an SLP. There was no report or update as to Student’s present levels of performance in the area of speech and language. The annual goals adopted were identical to the goals in the preceding IEP. Without the input of an SLP, Student’s largest area of deficit was not addressed in the IEP meeting. Parents were not provided with information crucial to their participation in the IEP decision making-that of the level of progress Student was making in his speech sessions. Therefore, Student was denied a FAPE because the absence of the SLP impeded Parents’ opportunity to meaningful participate in the IEP decision-making process. (Factual Findings 28 through 31.). (c-2) Did the District deny Student a FAPE at the March 8, 2010 IEP failing to provide Student with appropriate behavior support therapy? 40. Both the District and Student do not dispute that Student required behavior intervention services to meet his unique needs. Student contends that the District offer of three hours weekly ABA services was inappropriate because Student had made no progress in class participation and required constant prompting to attend. The District contends that Student was making academic progress so that the ABA offer was appropriate. (c-3) Did the District deny Student a FAPE at the March 8, 2010 IEP meeting by failing to offer appropriate ESY service? 23 Zerby’s conclusion that Student had made progress was made on the basis of the Bronson interview and her written progress reports which were inaccurate. 43. As stated in Legal Conclusions 22 and 23, parents are entitled to reimbursement for placing a child in a private school without the agreement of a school district if the parents prove that the District failed to make a FAPE available to the child prior to such placement and the private placement was appropriate. To be appropriate, the private placement must provide educational instruction specially designed to meet the child’s unique needs supported by services necessary to permit the child to benefit from the instruction. 45. As stated in legal Conclusions 24 and 25, a student is entitled to compensatory education as an equitable remedy to compensate for him or her being denied a FAPE by a school district. Compensatory education should be designed to permit the student to catchup to the level he should have achieved had he not been denied a FAPE. 46. As to the District’s failure to provide appropriate behavior intervention services, the District shall provide Student with the services of an ABA-trained one-to-one aide from CARD for the school day for school year 2011-2012 and ESY 2012. The aide should be from CARD so as to ensure continuity with CARD-provided services both in his home program funded by the Regional Center and services provided during school year 2010-2011. Additionally, the District shall provide a total of four hours monthly of CARD provided supervision and four hours consultation services. 47. As to the District’s failure to provide appropriate speech and language services, the District shall provide one 30-minute individual speech therapy session per week until January 30, 2012, dedicated to work on speech production in addition to any speech and language services provided by Student’s IEP. 24 The District offered no evidence to contest Morris’ opinion. 48. As to the District’s interference with Parents’ right to meaningful participation in the IEP process, the District shall conduct a triennial assessment by persons who are not District employees in the areas of academic levels, intellectual development and cognition, social/emotional/behavioral, and speech and language no later than December 1, 2011. 1. Within 45 days the District will pay the sum of $16,770.00 (sixteen thousand seven hundred seventy dollars and zero cents) to Parents for the cost of the CARD provided one-to-one aide at Salem Lutheran School. 2. Within forty-five days, the District shall pay the sum of $3,444.00 (three thousand four hundred forty-four dollars and zero cents) as reimbursement for the cost to attend Salem Lutheran School for school year 2010-2011. 3. The District shall fund the services of an ABA-trained, one-to-one behavioral aide from CARD to accompany Student at school for school year 2011-2012 and extended school year 2012 wherever he attends. 4. The District shall provide to Student one 30-minute individual speech therapy session per week to work on speech production until January 30, 2012, in addition to any other speech and language services provided by Student’s IEP. 5. The District shall fund an independent triennial assessment in the areas of the areas of academic levels, intellectual development and cognition, social/emotional/behavioral, and speech and language no later than December 1, 2011. Pursuant to California Education Code section 56507, subdivision (d), the hearing decision must indicate the extent to which each party has prevailed on each issue heard and decided. Here, Student prevailed on all issues heard and decided in this matter.